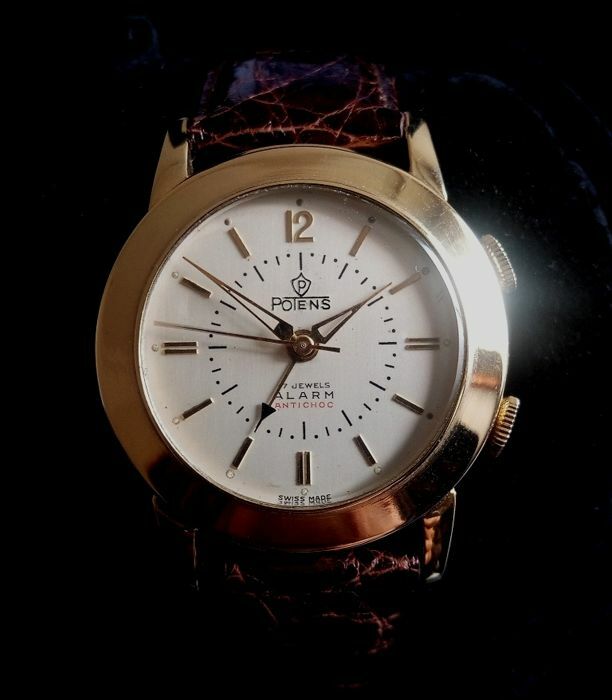 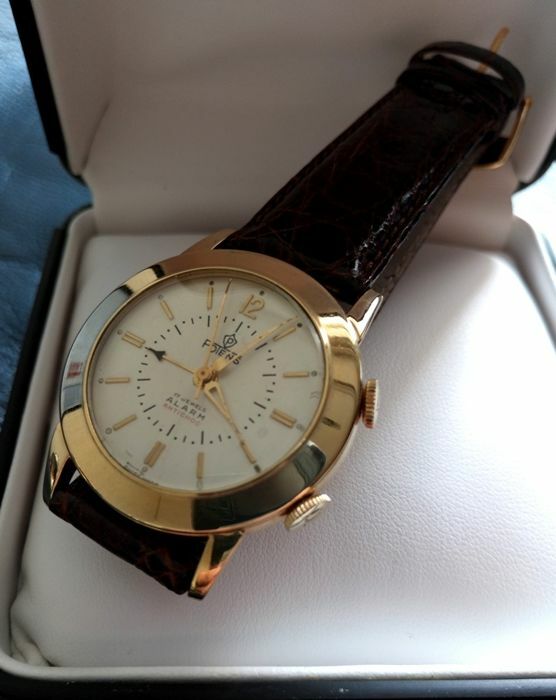 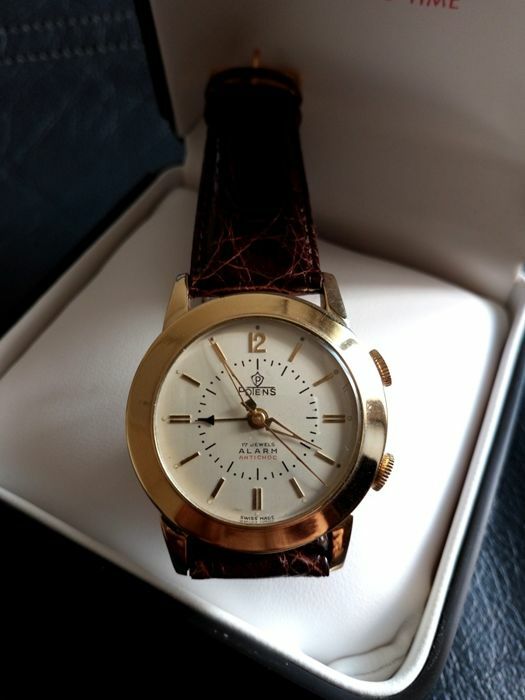 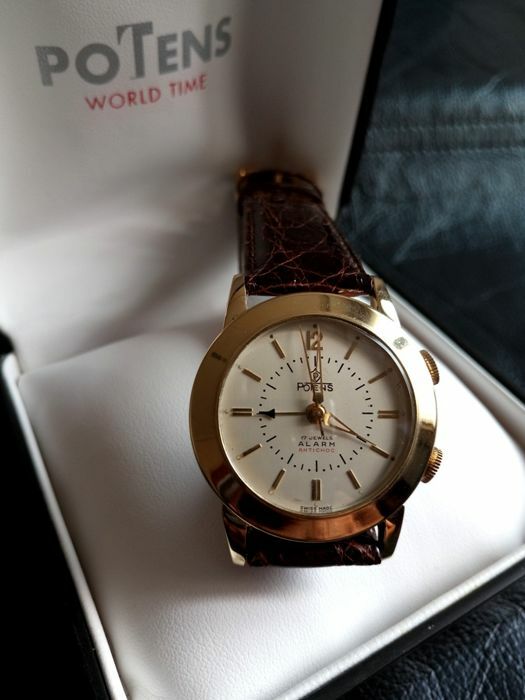 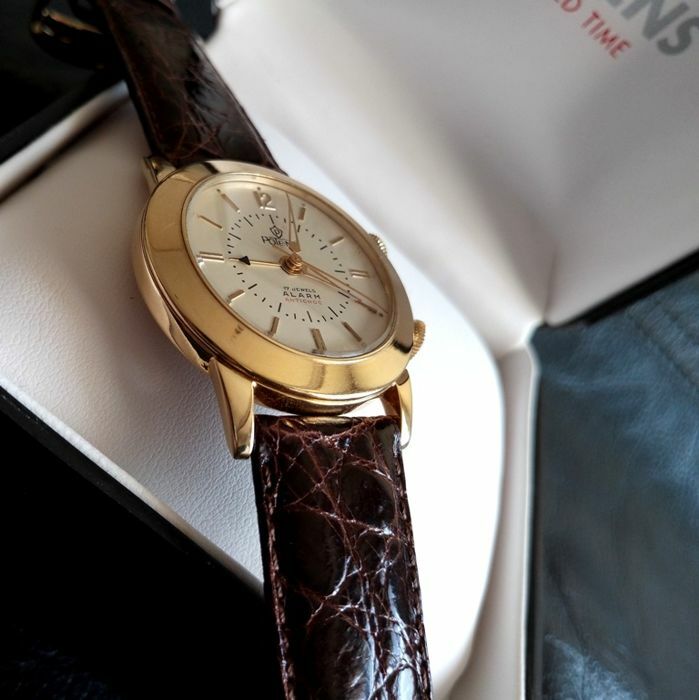 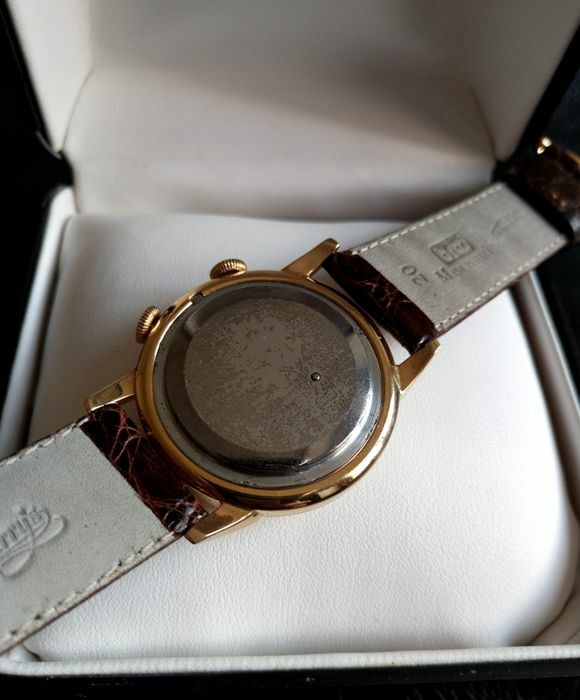 Amazing very elegant Swiss Potens alarm wristwatch! 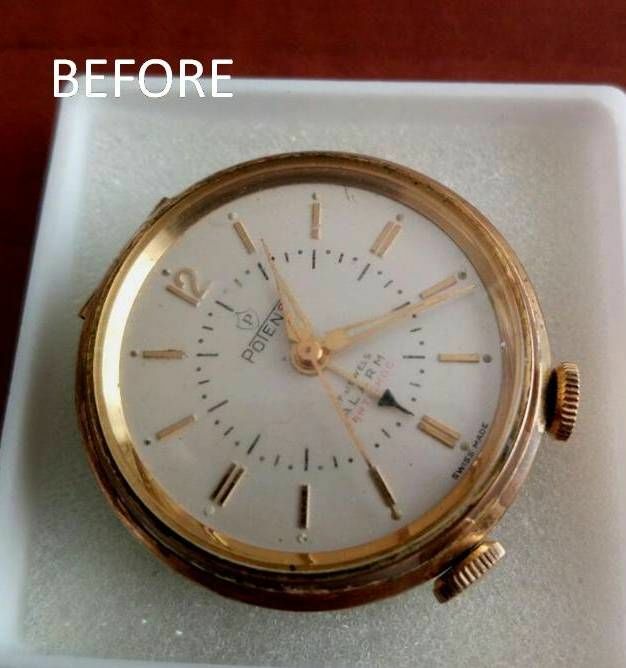 Case Diameter + Crowns- 38 mm. 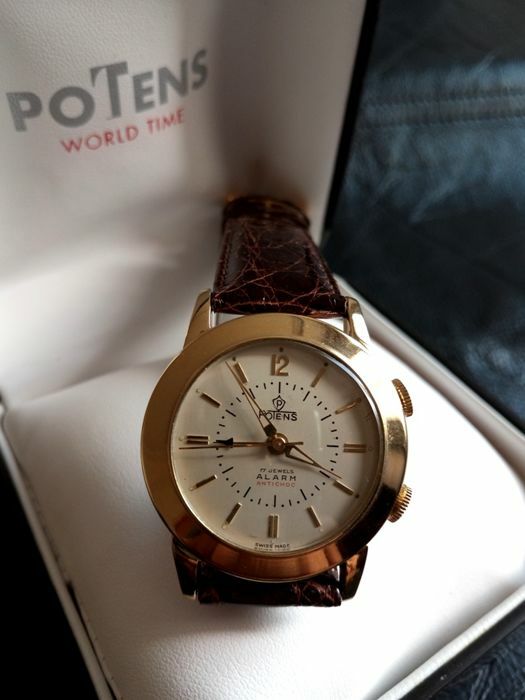 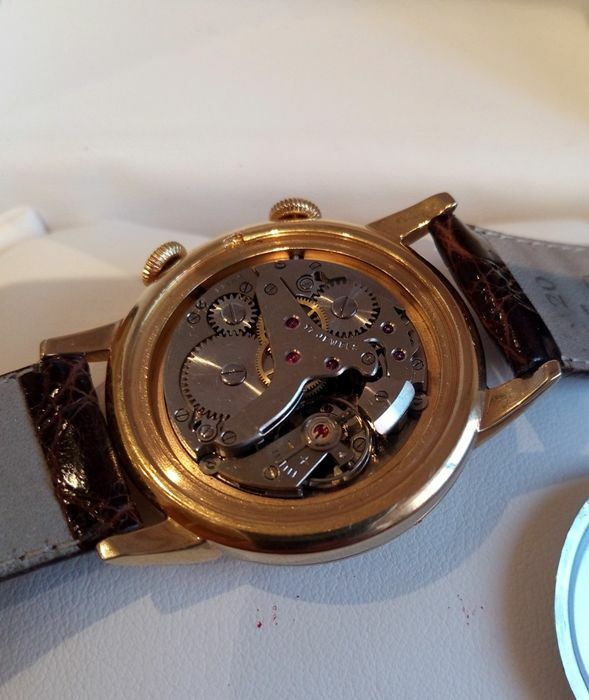 This watch is transformed from Original Swiss Potens Table Travel Alarm Clock!!! 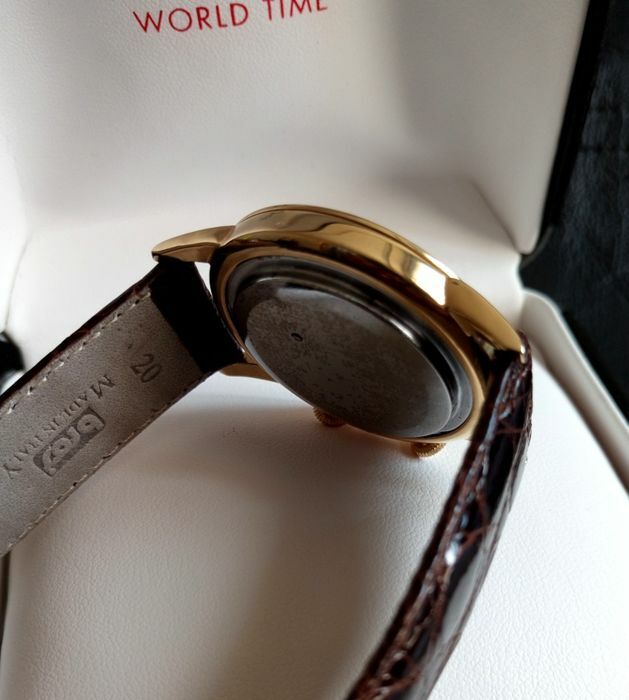 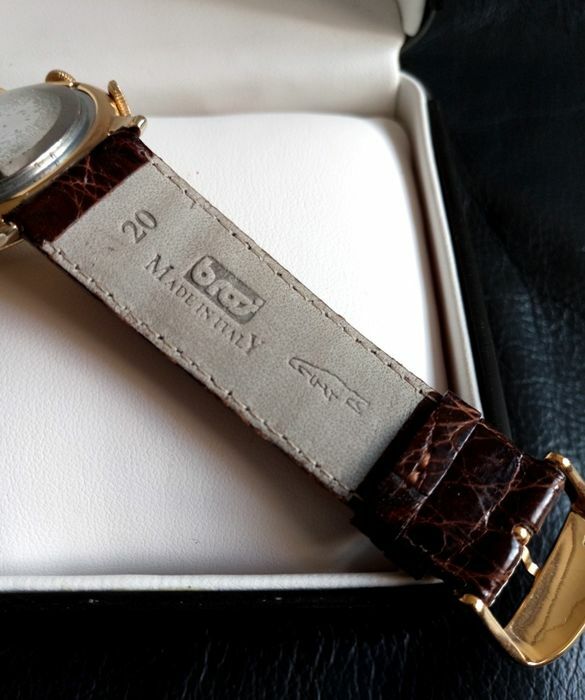 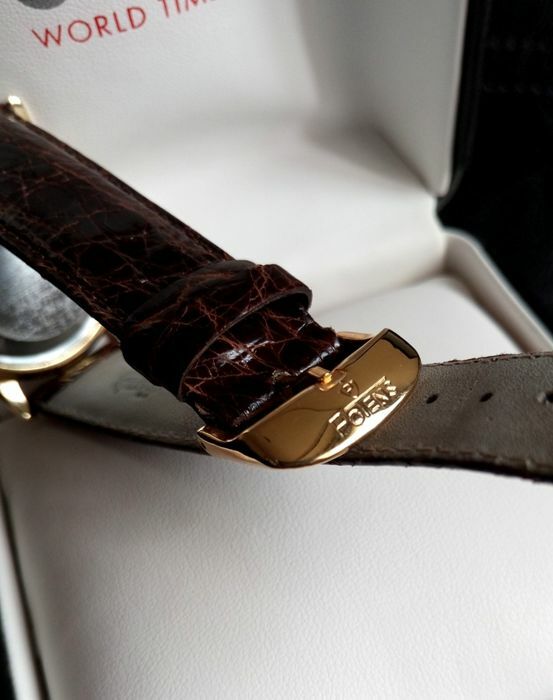 Brand new Made in Italy Genuine Croco Strap 20mm. 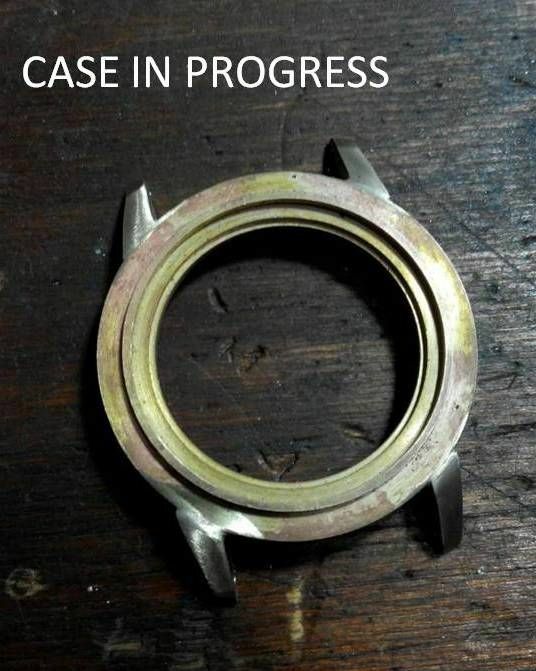 Lugs, 18 mm. 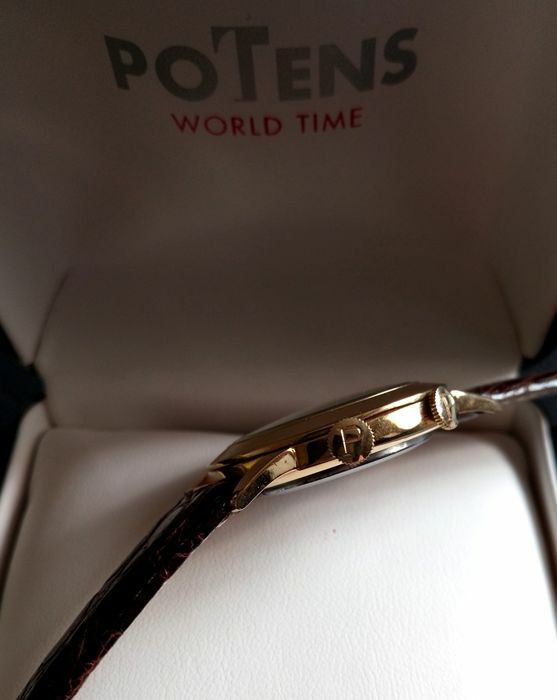 -Yellow Gold Plated Custom Made Potens Logo Buckle! 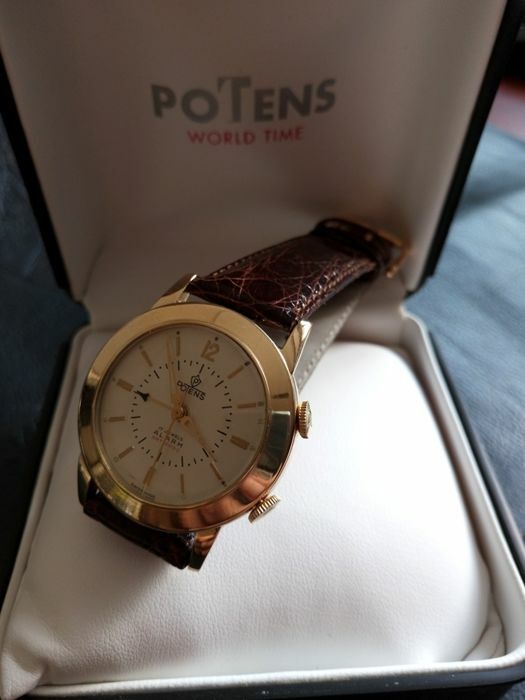 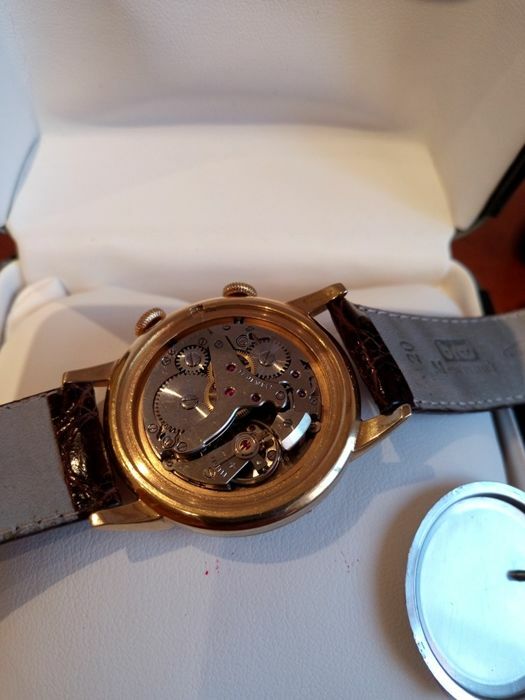 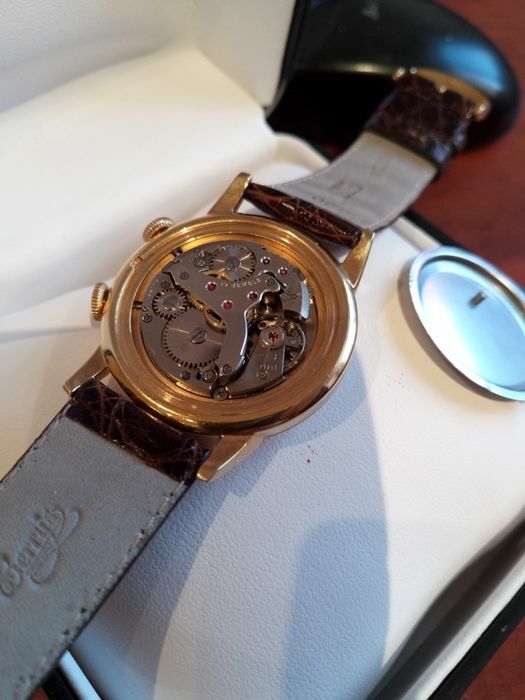 This Unique watch winds and set smoothly and keeping very good, accurate time. 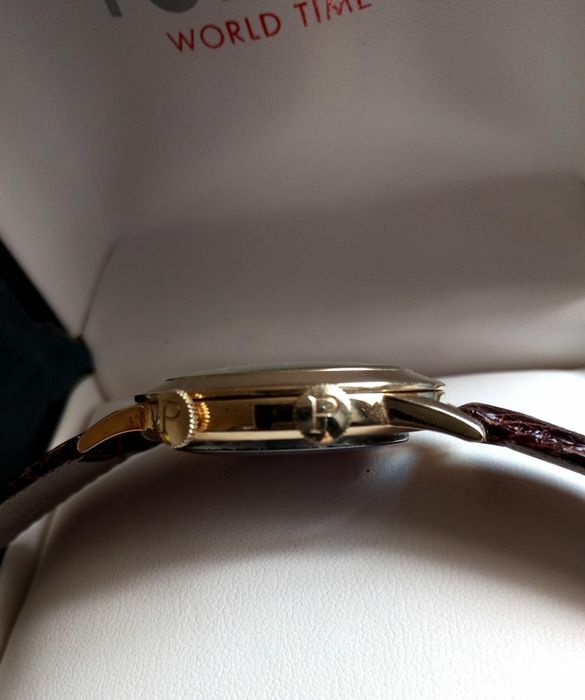 The pictures are of the actual item, we try to take the most detailed pictures we can, however feel free to connect me with any questions. 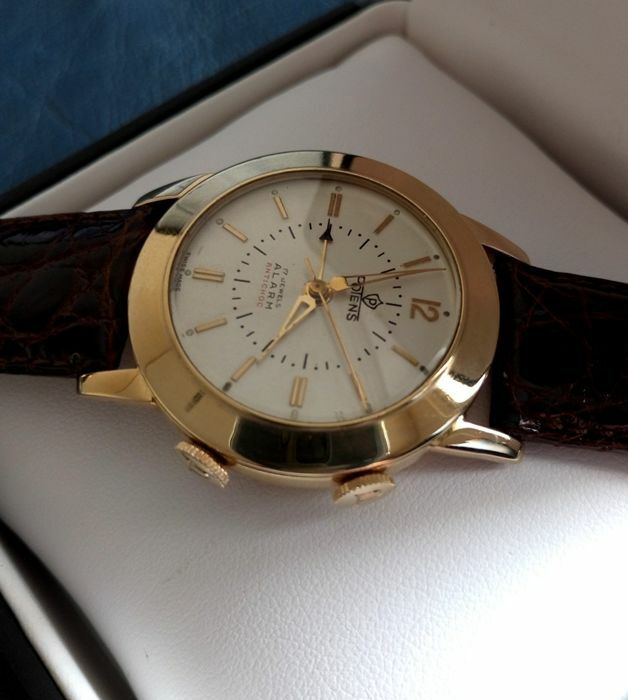 ...please! 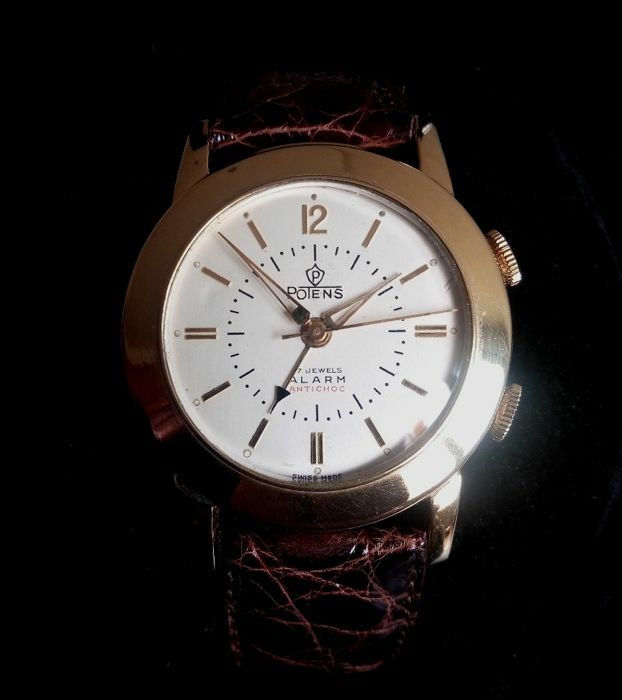 It will be securely wrapped & sent to you safely by registered and insure delivery by Correos Spain. 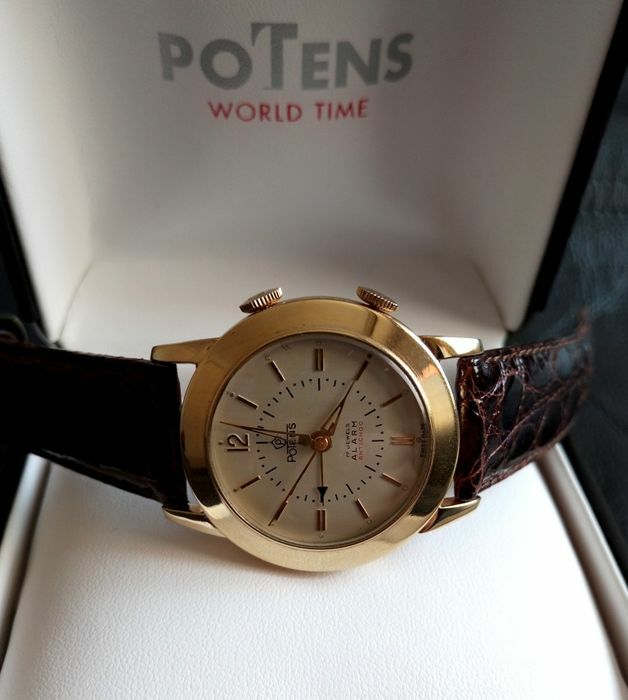 You can pick up this lot from the seller: Paiporta (Valencia), Spain.